LOW MILEAGE! 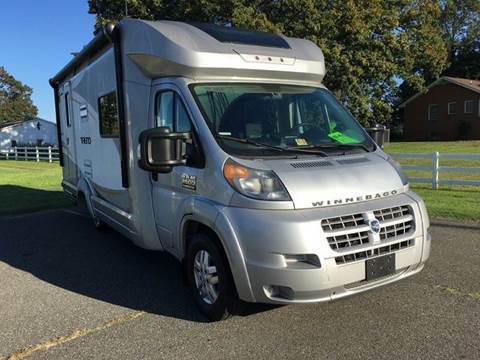 2014 Winnebago Trend 23B! Vapor interior with Aosta Cherry cabnetry. Spacious layout, 24' in length. Rear bathroom, sofa sleeper and dinette. ONLY 8900 miles!! Dodge Ram Promaster chassis. Some of the standard features include swivel cab seats to add extra seating, Ultraleather furniture, LED ceiling lights, Studioloft bed with electric lift, radio/GPS navigation with 5" color screen, powered patio awning with LED lighting, rearview monitoring system with color camera, MCD blackout roller shades. You can see the 2014 brochure with this link: s:// /binaries/content/assets/brochures/2014/ This is a must see! 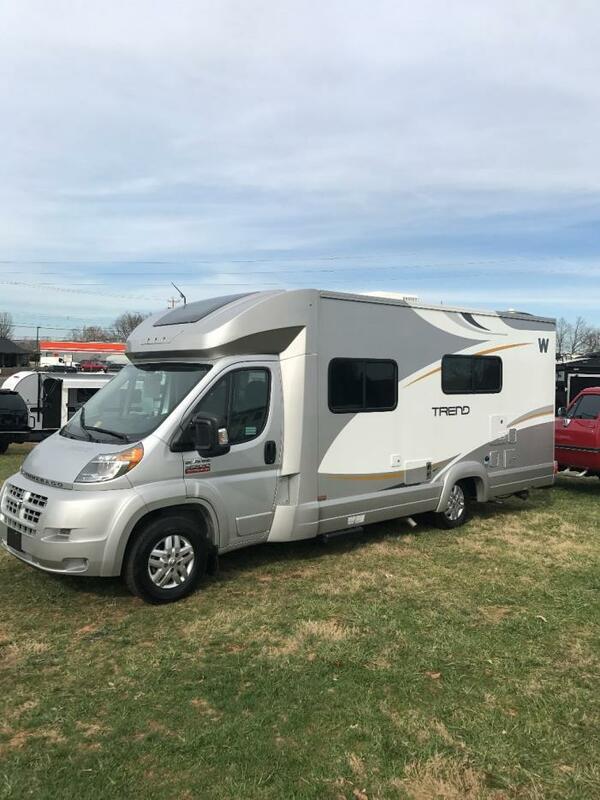 Come to Virginia's newest RV dealer - TIMBERLAKE RV, previously known as T&M Motors, in Lynchburg, VA! Give us a call at 434.237.9467 or come by and see us at 21330 Timberlake Rd!